1840 was a big year for Raleigh. In fact, it’s one of the most important in the city’s history. On March 21, 1840, the first steam locomotive came roaring and screeching into Raleigh on wooden tracks (the iron strips to cover them would come later). That same year would see the construction of the city’s most recognized and celebrated architectural treasure: the new State Capitol. 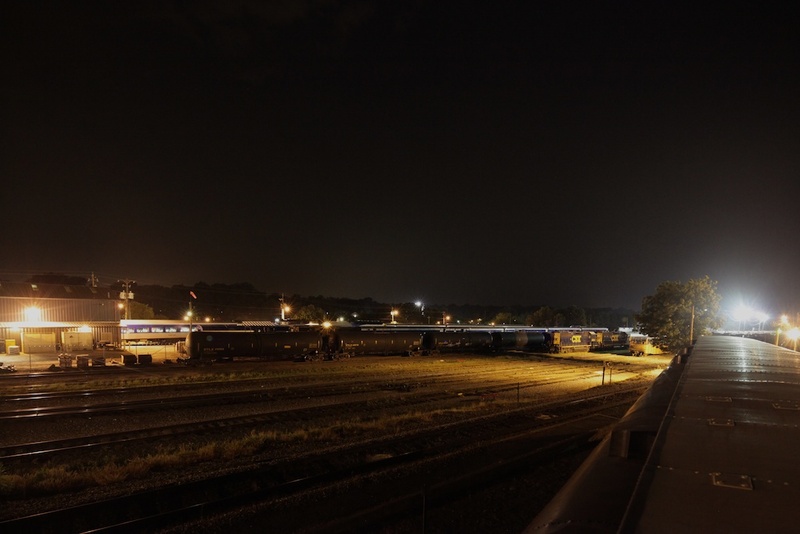 The new railroad was the Raleigh and Gaston, and its journey began in 1835 when the General Assembly chartered the rail company with the sale of $800,000 in stock. Later that year, engineers begun bridging a river they named “Gaston”, in honor of Judge Gaston of Raleigh. The town of Gaston is near this river near the NC-VA border. […] That all changed with the railroad “craze,” launched locally in 1833 with Ms. Sarah Polk successfully dogging Mr. William to get into the game via a mile or so of experimental line drawn by oxen to run stone from a quarry near National Cemetery to the capitol site. The oxen were laid off in 1840 by the menacing promise of steam when the Raleigh and Gaston’s English-made Tornado shrieked and huffed the into town on the last 5 miles of fresh wood tracks, cheered on by the drunks amid a city-wide 3 day party. The completion of the road was hailed by a celebration which lasted for three days. From distant counties men, women and children came to see the new wonders — the State-house, the railroad and locomotive. At night the trees of Capitol Square were illuminated with colored lamps, as well also as was Fayetteville Street. Gorgeous transparencies could be everywhere seen. 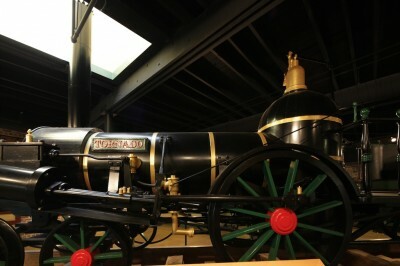 One was a representation of a locomotive, another of the State-house. Even in 1840, Raleigh citizens had an appreciation for public visual art downtown. About 20 years later, the rail line built an office building on Halifax Street. This early Victorian Italianate structure was moved in 1977 to make way for new construction on the government mall. 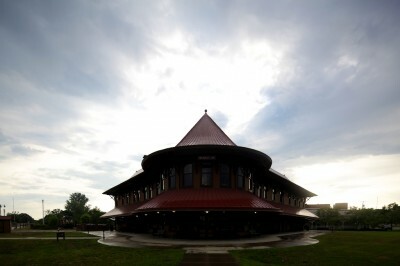 This is the largest structure ever moved from its original site in the city of Raleigh. 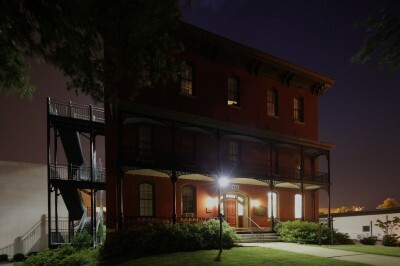 It became known as the Seaboard Office Building in 1871 when the line was acquired by Seaboard and Roanoke Railroad. Seaboard later became CSX; short for Chesapeake & Ohio, Seaboard Coast Line, and Xpanded. The original Tornado steam engine was decommissioned and dismantled after the Civil War. Some 52 years after the Tornado first arrived in Raleigh, a full-size replica of the original engine was constructed for the 1892 Raleigh Centennial Exposition Parade. It was built in the Raleigh and Gaston shops near Peace Street. If you’re interested in seeing a bit of railroad history and the Tornado, you need only drive about two hours away to Hamlet, NC. The beautiful Victorian railroad station has been restored and currently houses a train museum. It is also still an active station. The Tornado is located across the street from the museum, in the aptly named Tornado Building. 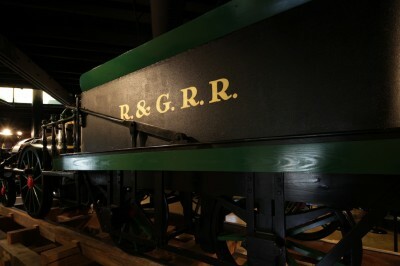 The building is normally locked, but any of the folks in the railroad museum will be more than happy to show you around and tell the history of the first steam engine to arrive in Raleigh.